It’s a well documented fact that I’m not good at keeping New Year’s resolutions. My ambitious diet and exercise goals usually go the way of last month’s wrapping paper and packaging, and aggressive reading goals like “read more books” get gobbled up by January’s schedule. It feels like a sad commentary on an undisciplined adult. Amazon says it’s about “A man with a painful past. A child with a doubtful future. And a shared journey toward healing for both their hearts.” I enjoyed it! I’ve also loved Martin’s books Long Way Gone , (here’s my review) and The Mountain Between Us. If that title sounds familiar, it’s because they recently released the movie, which deviated from the book and left readers disappointed in the film (The book is always better!). 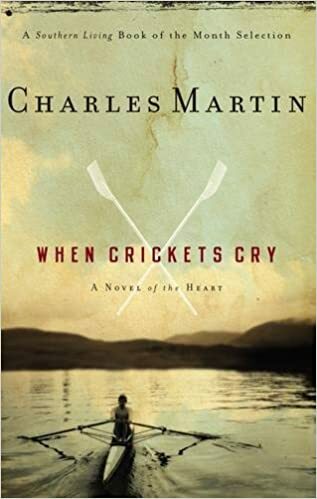 Charles Martin is a fabulous writer and story teller. I’ve also learned he is a tremendously gracious human as evidenced by his response to the movie’s deviation. It begins with this genius first line from the child narrator, “I believed everything my daddy told me until I walked into Wal-Mart and saw my picture on a little poster…” Chris Fabry, radio host and author, has a knack for stories with an unexpected twist, and I enjoyed this one. Butterfield deals with the cultural controversy surrounding homosexuality and Christianity from an insider’s perspective. Her beautiful writing style treats both communities with candor and grace. 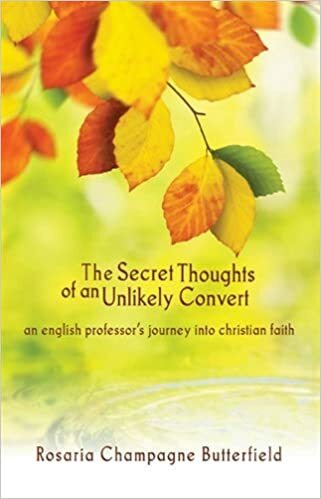 Referring to her conversion as a “train wreck,” her story is shocking and honest, and her life a uncommon example of walking in faith and obedience to God. Here’s to keeping the same resolution in 2018!! What are you reading this year? What book do you love to recommend? Watership Down by Richard Adams A long children’s classic, with excellent characterization of a little community of rabbits. A Prayer for Owen Meany is a brilliant writer and a master of characterization, but I did not enjoy it mostly because of lengthy opinions on the Vietnam war and tons of adolescent angst. Ears to Hear , by Joyce Cordell. A short work of biblical fiction based on the biblical Malchus. Misreading Scripture with Western Eyes by Randolph Richards & Brandon O’Brien: An explanation and comparison between western and non-western cultural norms and how it affects our understanding of the Bible. Fascinating but also something akin to looking at a world map upside down. Still accurate, but hard to get used to. Behold the Lamb of God by Russ Ramsey: Fabulous 25 day Advent devotional I will heartily recommend in November 2018. A Great and Terrible Love, by Mark Galli: Rich prose on the attributes of God. 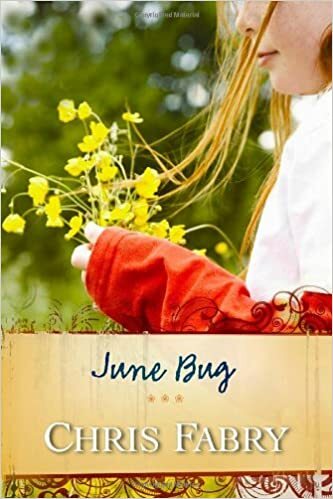 Holding On to Hope by Nancy Guthrie: Her painful story of loss and restoration. The Hiding Place by Corrie Ten Boom. I made my kids read it this summer, so I read it again too. Everyone should read it. The Polygamist’s Daughter: A Memoir , Heartbreaking story of growing up in a polygamist cult, and how she escaped. Talking with God, Adam Weber: Short read on prayer by a Sioux Falls pastor. Still Waiting, Anna Swindell: Her story of God’s presence while hoping for a cure and yet still waiting. I love your “what I read” posts, Shauna! My audible account thanks you! 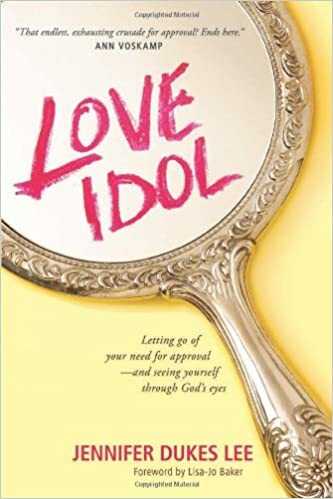 It’s an old book, but, I recommend The Penny by Joyce Meyer ; The Love Story by Karen Kingsbury and for nonfiction, Take the Lid Off by Smokie Norful and another oldie, Life’s Not Fair But God is Good by Robert H. Schuller. Thank you for your ministry. Make God continue to bless you in all areas of your ministry. Thanks for those recommendations, Maria! !